Stephen (@veganbodybuilding on Instagram) is a bodybuilder, powerlifter and founder of VeganFitness.com. Having been raised lacto-vegetarian since birth he is fortunate to have never consumed meat, fish or eggs and after learning about the ethics of dairy switched to a vegan lifestyle six years ago. After going vegan he was repeatedly warned from all angles that the vegan diet was very unhealthy and he wouldn’t be able to get enough protein or iron. This ignited a strong desire to demonstrate that a vegan diet wouldn’t compromise health or strength and was used as fuel to create a muscular physique weighing 210lbs (95kg) with just 8% bodyfat. 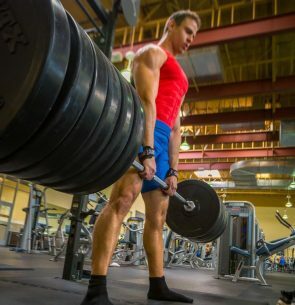 He found deadlifting well over a quarter of a ton (300kg) would usually quickly end any debates about “vegans being weak”. Stephen then wanted to reach as many people as possible to dispel the common misconceptions around veganism and inspire others to adopt a vegan lifestyle which he does every day via VeganFitness.com, across social media and as an event speaker. Stephen wants to show the world: vegans aren’t weak – we defend the weak!